Connecticut based – Commercial & Residential Painting Contractors CT – Interior / Exterior – Historic Properties – Restoration Projects – #1 Historic Restoration Contractor. Trusted by Commercial Property Managers, Federal, State, and Local Government and Municipalities, Historic Property Owners, and Residential Homeowners – Superior Finishes LLC in Plainville, CT delivers on its name. 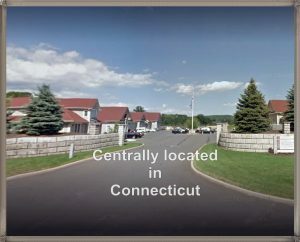 Superior Finishes, LLC is a family owned business centrally located in the heart of Connecticut with over two decades of construction experience and a passion for delivering high quality, reliable painting and restoration services to a wide range of clientele. Superior Finishes opened its doors, and immediately began working in the community with commercial and residential clients. That was years ago, and the professionalism that earned Superior Finishes entrance into the Eisenhower Executive Office Building located next to the West Wing of the White House, is the same professionalism that will enter your home or commercial property when you choose Superior Finishes for your next project. If you are a homeowner looking for the best painting contractor for your beloved home, or a city, town, or historic landmark guardian, we have the knowledge and skills to deliver quality painting and restoration services to you, and to the community. Looking for Painting Contractors in CT? We specialize in: Interior House Painting, Exterior House Painters, Interior Commercial Painting, Vinyl and Aluminum Siding Painting, Power Washing, Decorative Finishes, Wallpaper Removal and Hanging, Experts in Plaster, Solutions for Peeling or Fading Paint, Professional Painting Contractors, please contact Superior Finishes. You will not be disappointed. Contact Us!